I don’t suppose a lot of you will be here tonight, browsing the net, reading blogs or just messing around… after all it is a Valentine’s Day and I bet most of you are in or out celebrating with your loved ones. So as they say it will be a quickie tonight. Yes, you were right about last weeks’ picture; it was indeed lizard skin, and to be more specific it was from a Komodo dragon skin. Have a look at him! Is he not magnificent! For this week I tried to find something with similar colours and I succeeded. This one is an obscure (?) picture, but I really want to know what you will come up with. So here it comes… this weeks’ Who/What Am I? Have a lovely evening and as always enjoy your weekend! Posted in Who / What Am I? Bark TimeIndonesiaKomodo DragonKomodo monitorLizardRincaWho / What Am I? < Previous Happy Valentine’s Day! Oh wow! It is beautiful, but if I were to ever see it in person, I would run the other way. LOL! I’m guessing the second picture is some sort of roof. It looks like roof tiles! So tricky… there are so many of them though. I’m completely stumped. It looks like roof tiles to me but it probably isn’t. It’s seriously going to bug me now! i feel like it’s something other than roof tiles, but i can’t think what! haha. Hmmm no idea, this is very tricky. I was thinking roof tiles too but I don’t think that is right! 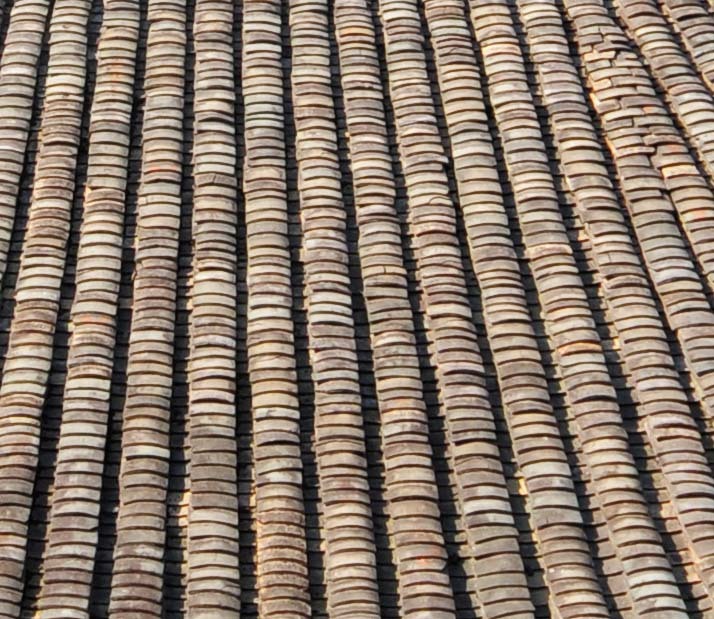 All I can think is roof tiles too….or something Chinese??! Chinese roof tiles?! It looks like roof tiles but I’m guessing its something trickier than that! I genuinely have no idea, It does kind of look like a roof but I’m not sure! I have absolutely no idea whatsoever! My first thought was coins of some sort! Pottery edging border bits for gardening?!? Roof tiles maybe? Ooo that’s a tricky one!